FREE Minibon Roll At Cinnabon! 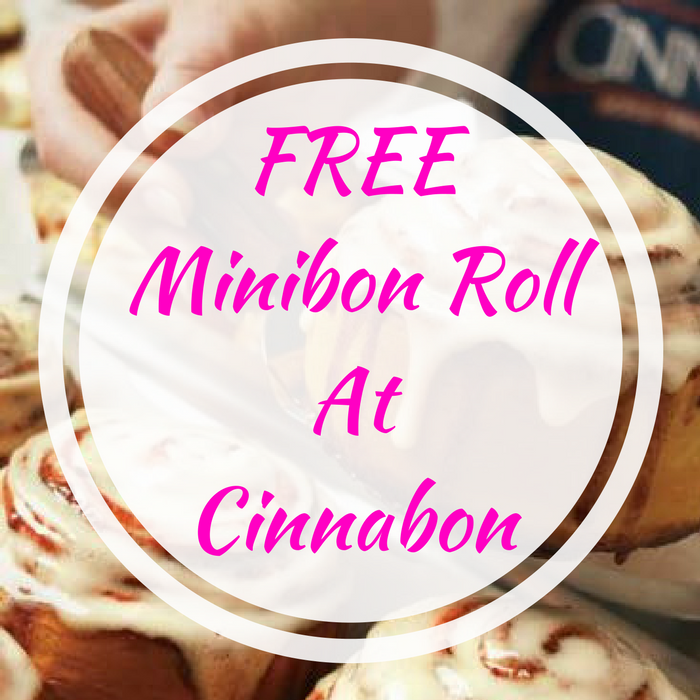 You are here: Home / FREEbies / FREE Minibon Roll At Cinnabon! For a limited time only! Score a FREE Minibon Roll at participating Cinnabon stores when you join Club Cinnabon! All you need to do is sign up and you will get a coupon to get this FREEbie. You’ll also receive exclusive news and offers directly to your inbox. Enter your birthday, and they’ll send you a special treat to help celebrate. Awesome!